With the advent of regional WordCamps like Europe and US, we have had many discussions about the possibility of holding other regional WordCamps. One of the regions that has often been mentioned in these discussions is the Nordic region – comprising of Denmark, Finland, Iceland, Norway and Sweden. After many years of talking about this as a possibility, a team got together at the WordCamp Oslo contributor day to make a formal, structured proposal for this event to see if they could turn it into a reality. Now that we have this proposal and the team has done some real work in establishing a concrete vision for how this event would work, it’s time to have a discussion about this as a community. With that in mind, please have a thorough read through the proposal and then comment on this post with your thoughts. We would like to know if you think this is a good idea or not, and if you feel it is a realistic goal for the WordPress communities in the Nordic region to work towards. The goal of a Regional WordCamp is to celebrate, represent, and grow local WordPress communities in the affected region. A primary goal for the WordPress Global Community Team is to help support the creation and growth of WordPress meetup groups and annual WordCamps in as many cities as possible in the world. 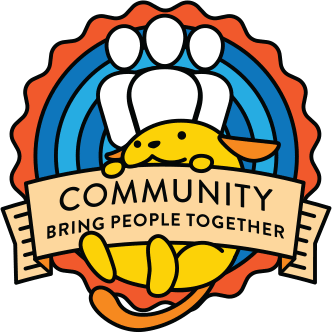 Regional WordCamps work toward that goal by connecting people who weren’t already active in their local WordPress community and inspiring attendees to start communities in their hometowns. Growing local WordPress communities in the Nordic region must be the ultimate goal here, so that’s a good idea to keep at the forefront of your mind while thinking about this. The deadline for this discussion is Friday, 27 April – at that stage we will summarise the comments and move forward with the best decision based on what we have discussed. I’m a bit biased because I live in Finland, have been organising WordCamps here, I’m active in community and will probably participate WordCamp Nordic team if it will happen. Because of all that I’d love to see it happen! Regardless of above I tried to be objective at my opinions below. Love the idea of activity day! If people are coming from other countries, why not to experience Helsinki at the same time. At the same time, I’m bit worried if people feel that they wan’t to attended all three days. Could activity part be after contributor day program? Maybe it would also attract more attendees to contributor day. The proposal looks good and seems that there has been real effort to make it. I also know both Marco and Niko, who have been leading persons behind the idea of WordCamp Nordic. There’s no doubt that they could not make it happen, but I’m wondering which is the interest level in other countries. Is there enough interested organisers outside of Finland? Our local community is growing fast and much of our active organisers efforts are directed to that at the moment. I was lucky enough to sit in the meeting that was held in Oslo about the WordCamp Nordic (thank you for having me) and the excitement about it was palpable, so I am very happy to see the plans are moving forward! The proposal is thorough and well researched 🤩I wonder if all the nations had already a saying in this. It was put together by the Finnish team and so far I haven’t seen the other communities chiming in. Representatives from Norway, Sweden and Greenland sat in the meeting and they all showed interest, but we should make sure all voices are heard. Maybe this is what the Nordic Slack is for? I am not part of it, so if it is ignore my comment! So for me it’s a big yes with the adequate support! I agree with the above comments. I do think Regional camps like this should exist and this is a good plan. It may not be perfect, but what plan ever is? I think we need to put a strong mentor in place so the team will have a good resource they can tap into. I entirely agree that an experienced mentor is very important if this regional camp moves forward. A couple of questions were asked: (1) how would WordCamp Nordic benefit the local communities in other countries, and (2) what is our plan for fundraising. 1. Bring the Nordic communities closer together. 2. Help the growth of local comunities. These two goals will be the organising team’s compass guiding every decision. Secondly, we have a lot to learn from each other. Having an organising team from all the countries is likely to help sharing knowledge of how each country has been doing things (e.g. Oslo experience with activity days). Finally, I think gathering people at regional camps works as a catalyst of local communities. For example, it was in a WordCamp Europe that the Helsinki community and the idea of a camp in Helsinki started. I don’t know if there is concrete data on the influence of regional events in the growth of local communities. In Finland the sponsor packages have been very easy to sell (the sponsor packages in the two last camps in Helsinki were sold-out in minutes). We have a much larger area to look for sponsors. Thanks for commenting Marco! It’s great to get some additional perspective from the organising team here. I’ll post a wrap-up comment later today about all this. An experienced WordCamp mentor (who is not from the Nordic region) will be assigned to assist the organising team. A special focus will be placed on using the WordCamp to encourage and grow local communities in the Nordic region. While the event is planned to take place in Helsinki, the organising team must consist of people from all over the region having an equal say in the planning process. Those are standard requirements for a regional WordCamp anyway, but it’s worth emphasising them here. The next steps from here will be to get the application processed properly so that the organising team can get started with things. ← Call for WordCamp Mentors!